I think confining the wood pallet to mere typical wooden creations is just like the under estimation of the potential power of the wood pallet. So we always urge the crafters to explore more angles and aspects of this blessing timber that is cheap, that is easily available, and is best for maneuvering and shaping. 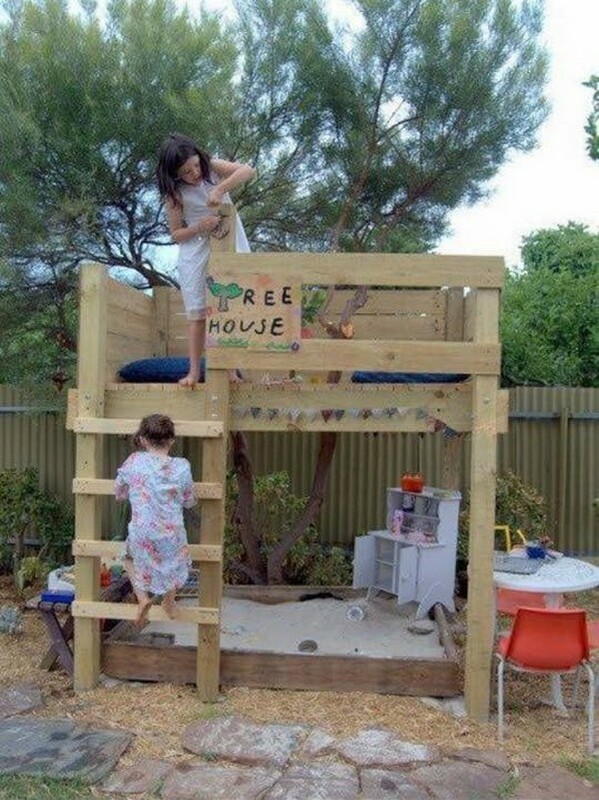 That’s why we focus on introducing variety of the pallet wood projects as today we have brought several wood pallet playhouses for kids. I hope you guys are going to enjoy each one of the project presented here because of the variety. This is clearly something that is very handy to make as there are no hard patterns no tricky carvings. You just have to cut the pallet wood planks to the pre measured size and attach them by nailing and gluing according to certain design that is demonstrated here, so just a way forward for all pallet wood lovers. 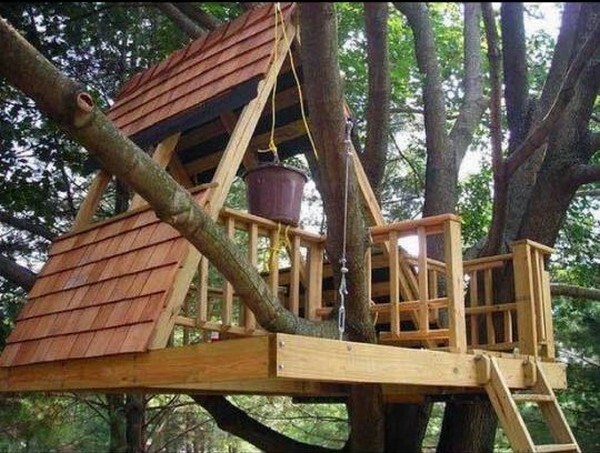 Don’t get confused with this specific project as if the support of the kids play house is the tree in the middle but the structure is erected on tall wooden poles that are basically causing the erection here. 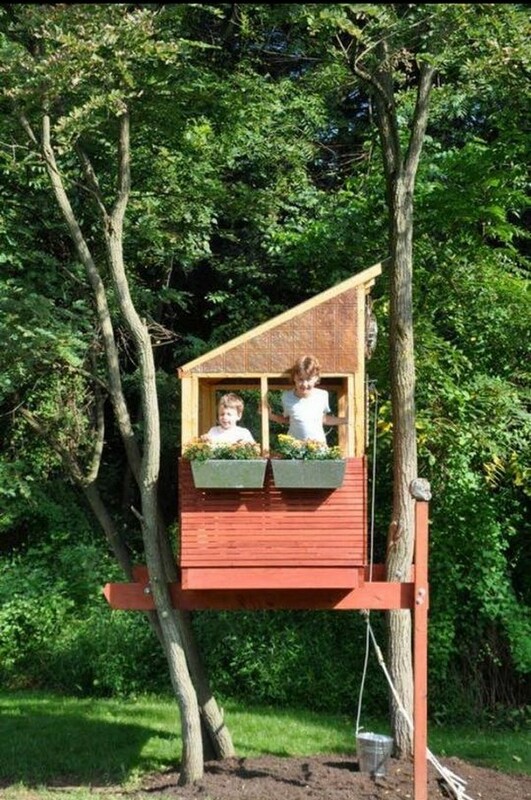 While the rest of structure is again very handy to make. This time this is not made around the tree, we are just being covered with the shadow of the tree which is a cunning step. 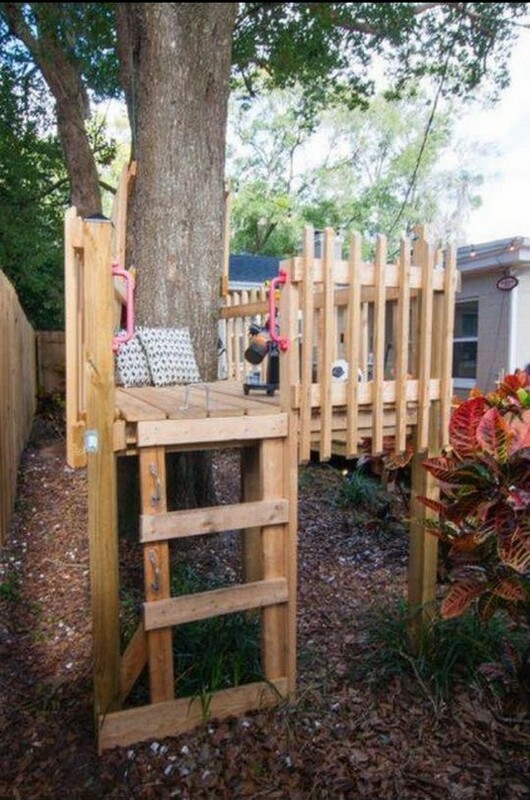 The ladder is made with round wooden pieces and rope while the rest is made with tiny cut to size shipping pallet planks. Now this is something tricky and it also requires some material that must be reclaimed from somewhere or maybe bought from the market or otherwise you will have to get it done by some professionals. I am talking about the curvy zic zac slide. 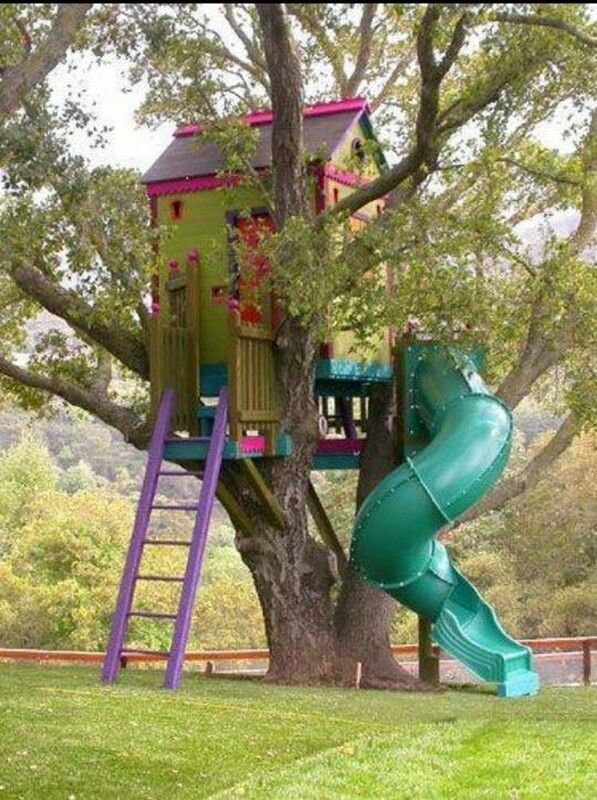 Now this is a project where you need to employ all of your potential skills and you also need to follow some inspiration that is right here in front of you guys in the shape of this smart kids playhouse. 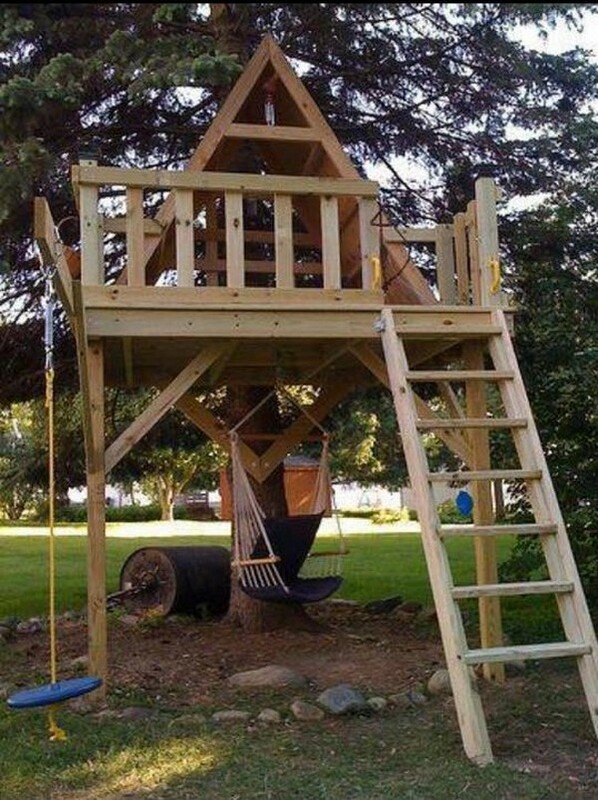 Wooden ladder is made with the wood pallet, the first floor and the bent over shade is also made laboring a lot of expertise. 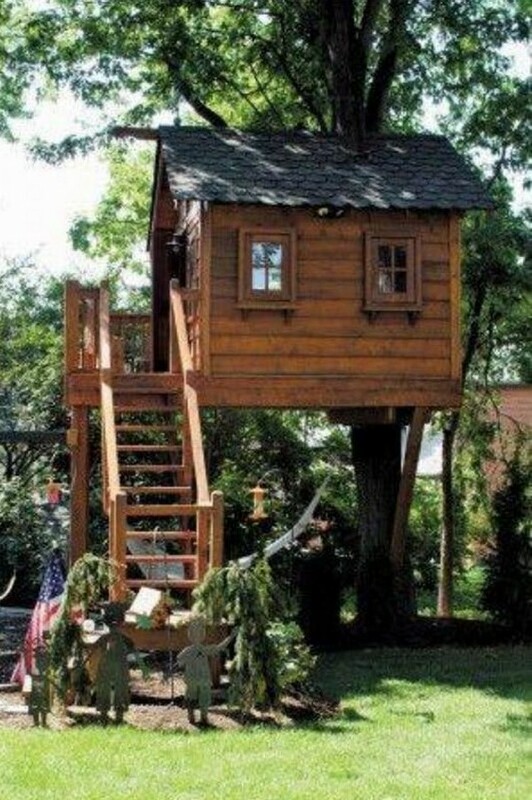 And this is one of the best kids playhouses as it is a comprehensive plan. It has got certain sections related to physical activities, slides and other activity based features. It has consumed a lot of supplies as the project is a bit too huge. 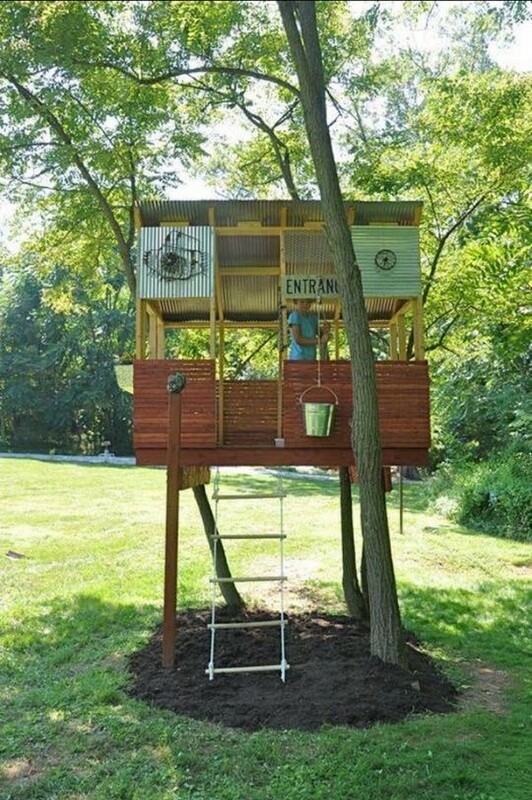 Again this one is a gigantic pallet wood upcycled kids playhouse. 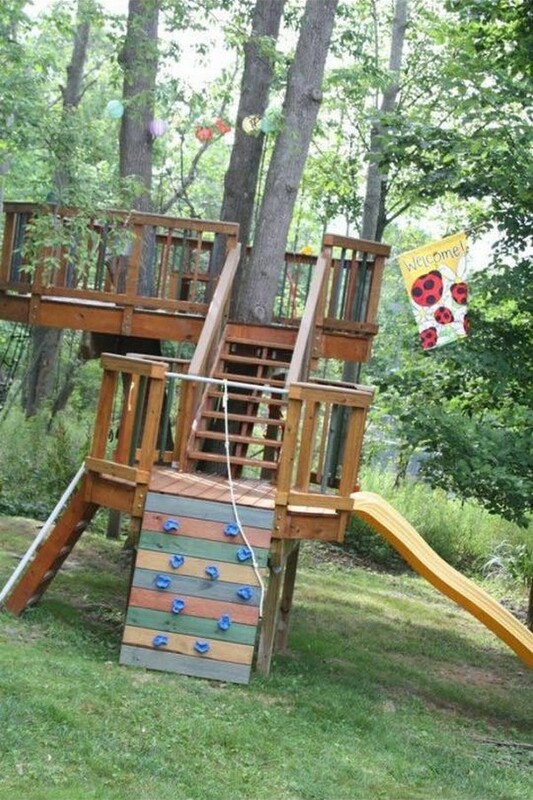 And the beauty of this specific project is that we didn’t use any other material in whole project except the swing attached to the base of the playhouse. 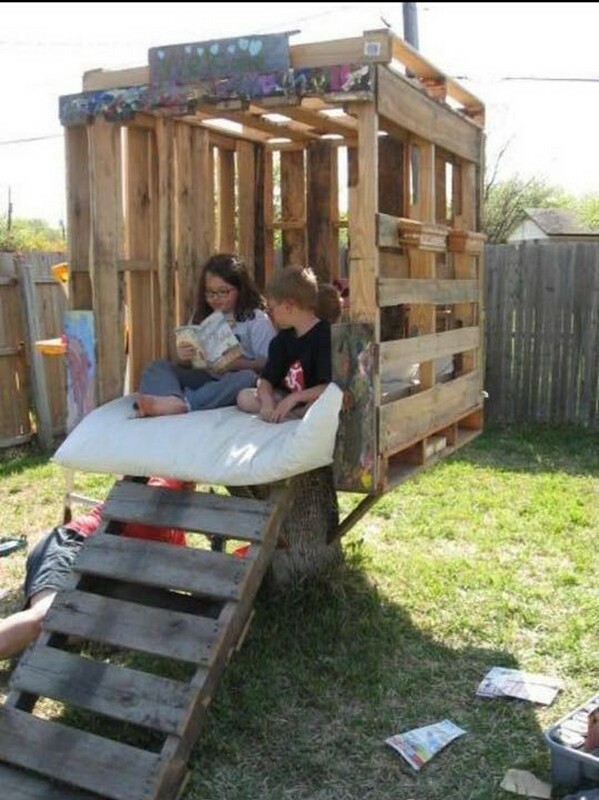 In the end a good piece of pallet crafts. While in this plan we have tried to keep it as simple as possible and we also succeeded to a large extent. 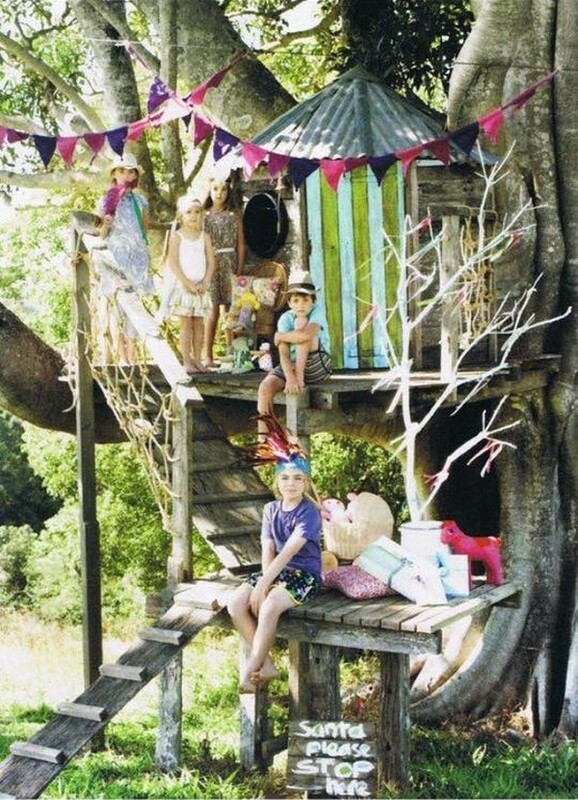 We have used here some thick pallet wood planks ensuring the strength of the playhouse. Plus we also concentrated on the beautification of the plan. I guess this won’t be an attractive thing for the too young kids as it lacks the features that are loved and preferred by the kids. So I think this would be good for the kids in their late teens where they can do some serious stuff like working on school projects etc. Again this is purely something that belongs to the kids. Before getting started on any of the project bear in mind that you have to be equipped with a lot of supplies, you must have all the latest tools or atleast necessary tools to make the job easier and follow all the safety measures as you would be working on height.